A mask is often just what you need to begin or finish a transformation. 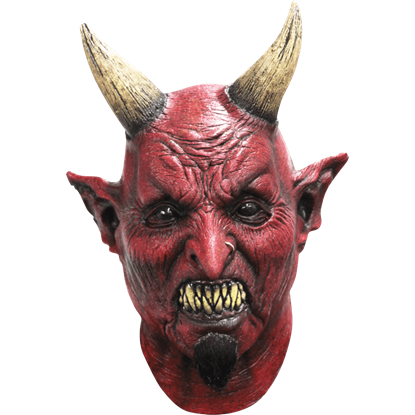 To that end, we carry quality latex masks that are great for Halloween, parties, LARP events, roleplaying, and more. Ranging in style, we offer a number of different masks to fit a variety of genres, ensuring that you can change yourself into almost anything. 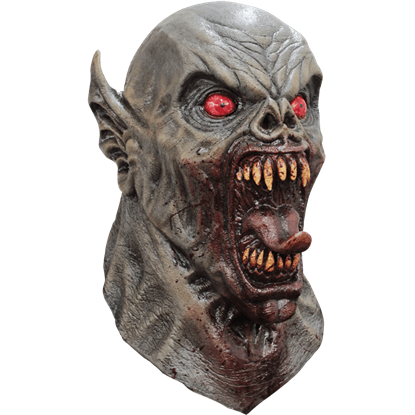 For horror fans, we offer monster masks inspired by zombies, vampires, demons, werewolves, aliens, and more. We also offer more medieval styled masks, allowing you to easily add a touch of history to your knightly costume. We also offer some licensed masks from blockbuster movies like The Hobbit trilogy, World War Z, and the Resident Evil series. 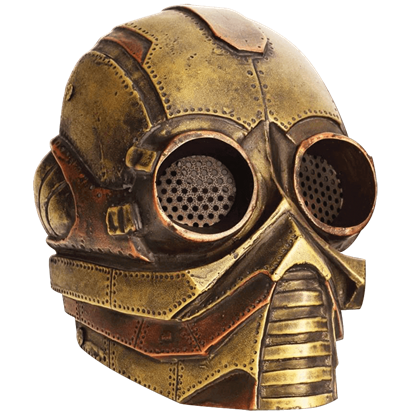 We even offer some latex and vinyl gas masks, to help enhance apocalypse, steampunk, and military costumes! All of our masks are made in quality latex and vinyl, and most are offered in one size, which can be padded, pinched, or cut in the back to help adjust sizing. If you need to transform yourself, nothing gets the change done faster than a quality mask purchased from us. Wherever Han Solo, intergalactic smuggler and Rebel Alliance fighter appears, this Wookiee warrior is always nearby. 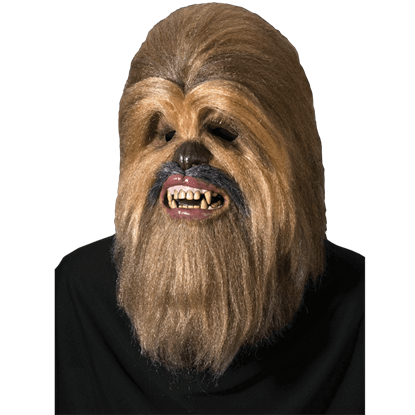 At your next costume event, portray the co-pilot of the Millennium Falcon with the Adult Chewbacca Latex Mask. Leave the desert wastelands behind and fight for the sake of the New Republic. 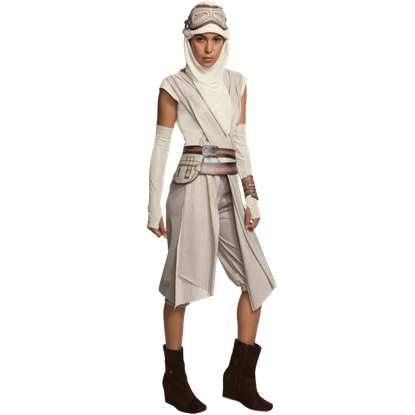 Step into full character as the Force-sensitive scavenger from Jakku by adding the Adult Rey Eye Mask With Hood to your Halloween or cosplay costume. 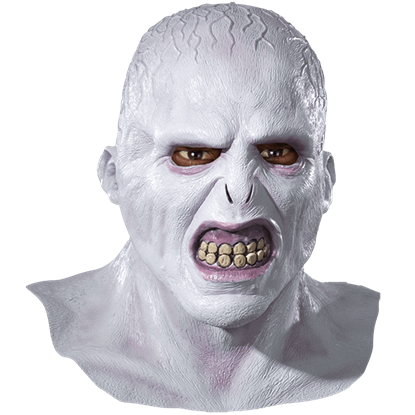 This gruesome looking mask is ghoulishly unpleasant, inspiring all sorts of unpleasant thoughts. 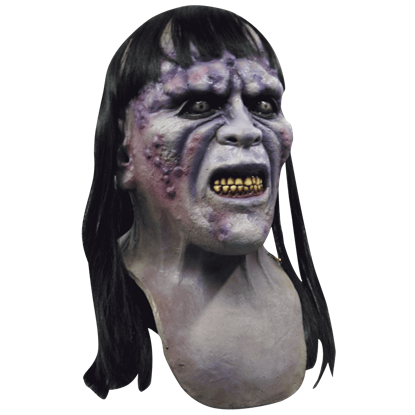 With its festering sores and haggard features, the Aida Mask is an impressive look no matter what type of unpleasantry you wish to be. Fire-breathing beasts that dwell in deep, underground caverns with golden hoards, dragons appear throughout fantasy literature. 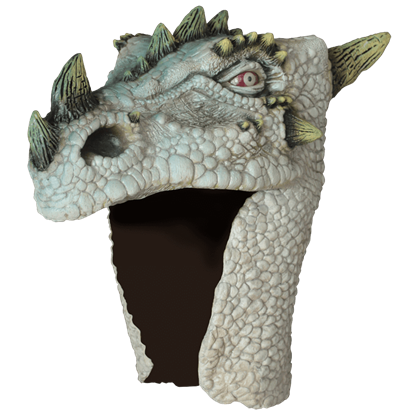 The Albino Dragon Costume Head Mask allows you to dress up in excellent fantasy style for your next party. Letting out its spine-chilling shriek, this monstrous creature announces its reawakened thirst for human blood. 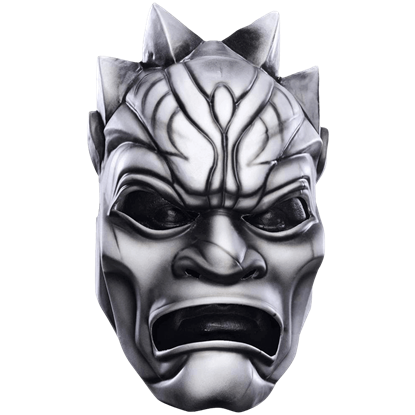 The Ancient Nightmare Costume Mask depicts a menacing, vampiric monster as it opens its fanged mouth in a howl. There is nothing that time has not touched. 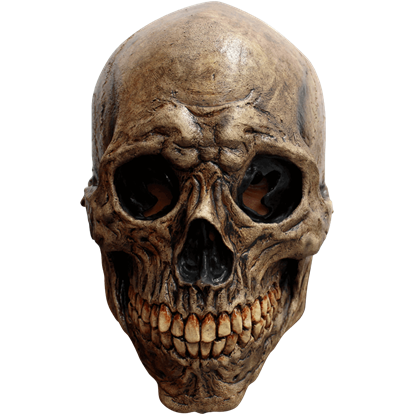 A skull from times long past is no exception. Embrace the remnants of what time leaves behind with the Ancient Skull Mask, the best way to combine the classic skull with everyday adventures. The steampunk vigilante known as The Archangel and his freedom fighters battle against the Skyraiders and underworld criminals. This Archangel Mark II Fiberglass Mask is molded directly from the one used in the hit web series. 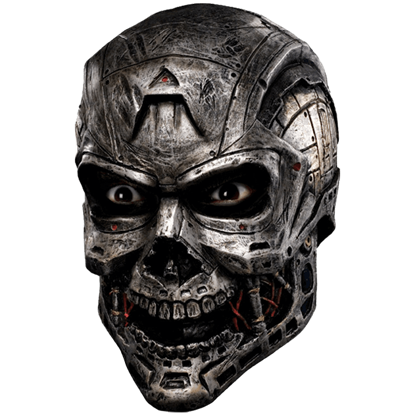 Replace the bone with metal, the muscle with hydraulics, and the blood with oil, and you will transform a skull into a robot, just as this Armageddon Android Skull Mask has transformed the skull into the visage of a mechanical monster. One of the lords of wickedness, Azogh-Khan leaves a wake of destruction and misery wherever he treads. The detailed Azogh-Khan Costume Mask depicts the hateful face of this demon, showing a nasty sneer with his fanged mouth. Sacrificed in a brutal display of might and power, this ancient warrior has risen from the grave to seek vengeance. 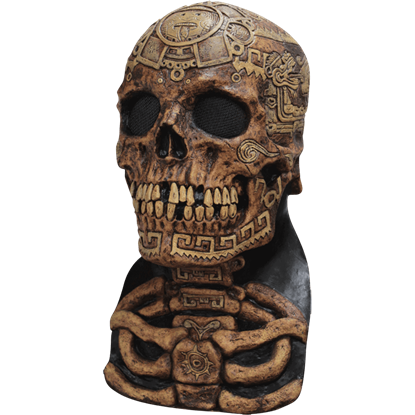 The Aztec Skull Costume Mask displays a weathered skull with intricately carved designs over its head.